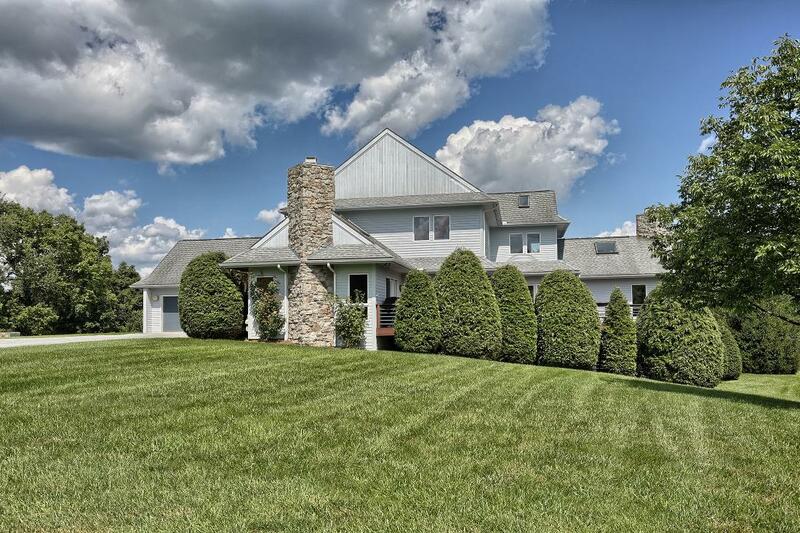 Architect designed contemporary tucked away on 9.9 acres at the end of a cul-de-sac. Custom designed by Willigerod & MacAvoy architects blending the house with the views in a beautiful combination of function and aesthetics. Inside, the home opens up to vaulted spaces with an abundance of natural light. Features include 2 fireplaces, and a large wrap around deck offering privacy and tranquility. European style kitchen with custom Bertch cabinets opens to a bright breakfast area. 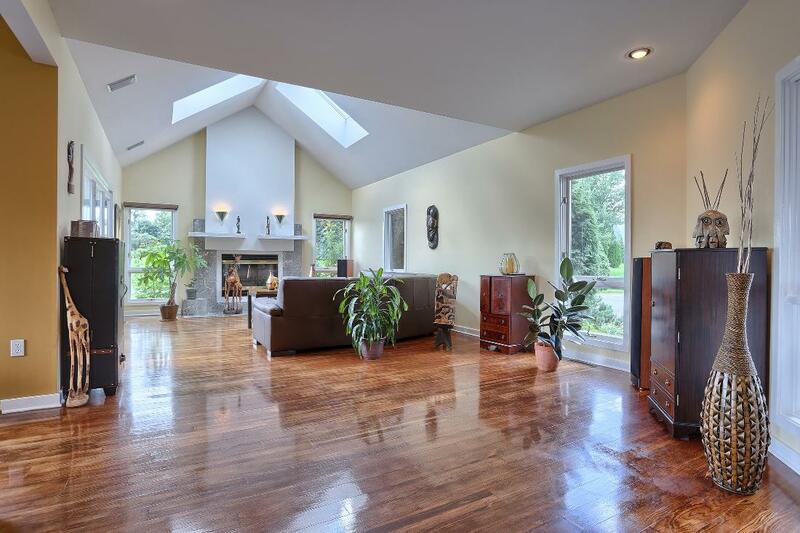 A warm stone fireplace accents the family room with vaulted ceiling and skylights. Remodeled and updated baths, first floor office and laundry room. Finished, walk-out lower level includes family room, full bath, and potential for 5th bedroom. Efficient geo-thermal 2-zone HVAC. 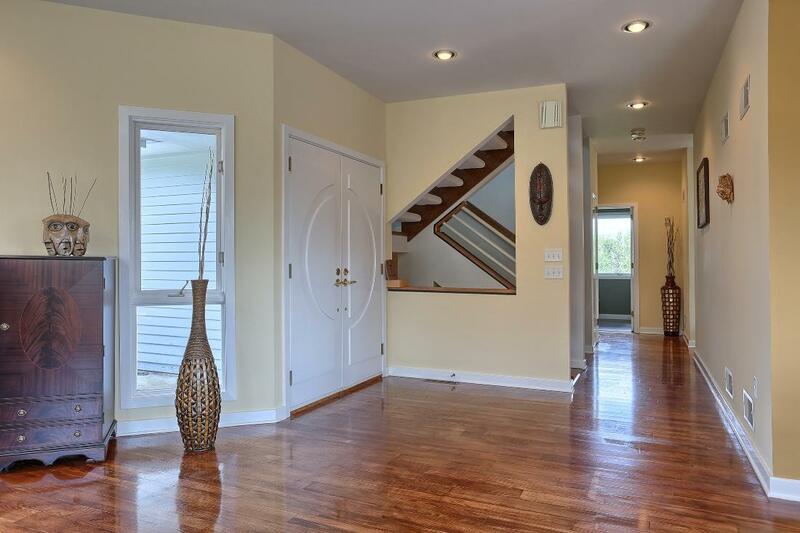 Large yard with a full size working tennis court, and attached garage to accommodate 3 cars.